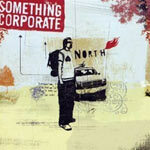 Something Corporate Biography, Discography, Music News on 100 XR - The Net's #1 Rock Station!!! Alternative-Rock Orange County, California USA-based band formed in 2000 by singer+songwriter+pianist Andrew McMahon, guitarists Josh Partington and William Tell, bassist Clutch and drummer Brian Ireland. 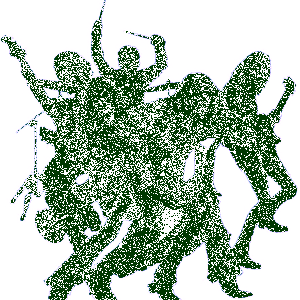 The quintet began playing in local clubs, opening for national acts such as Sugar Ray and Better Than Ezra, finally gained a deal with Drive-Thru/MCA Records which released in 2001 a 6-track EP entitled "Audioboxer", their debut full-length album was issued in mid-2002, "Leaving Through The Window" has cracked The Billboard Top 200 chart and generated the top 30 Modern Rock hit single "If You C Jordan". 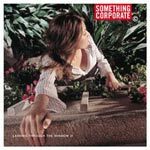 After toured across the USA, Europe and Japan, in October of 2003, Something Corporate issued their second effort, "North".